In this document I’ll inform you how to configure and maintain operation mode (op mode) of SAP system. Operation modes (op mode) allow you as SAP Basis Administrator makes the R/3 System configurations to be adapted to different requirements. The configuration is the mix of the number of dialog (online) and batch processes at different times of the day. 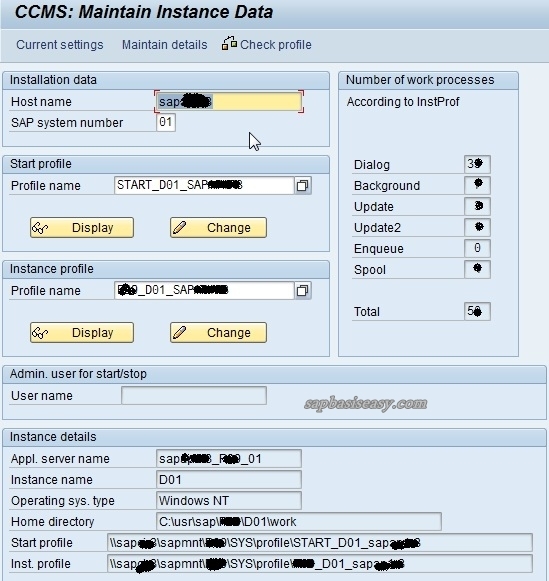 By configuring operation modes (op mode) you can distribute the number of work processes in your SAP system (Central Instance and Dialog Instance). 2. Go to CCMS menu using the following path: From R/3 main menu, select Tools –> CCMS –> Configuration –> OP Modes/instances orSAP Transaction RZ04. 3. 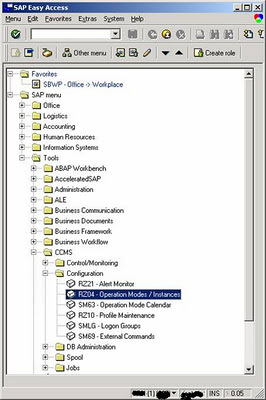 From CCMS menu, select Operation Mode –> Create. Enter short description of the operation mode. Repeat the above steps for any additional operation modes (for example, afternoon and night) you need. 5. Before you can assign the Op Mode to Work Process distribution, you have to maintain instance data for each Op Mode. 6. 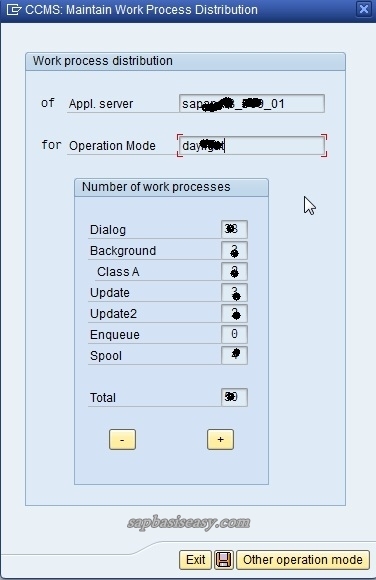 After that you can assign the number of Work Process to Operation Mode you’ve configured.